Happy 2014! January is frequently a time of mass self-evaluation and plans for improvement. People take up various commitments to read more, exercise regularly, and eat differently. You or your friends may have even posted resolutions publically to a Facebook page as an attempt to add some accountability. 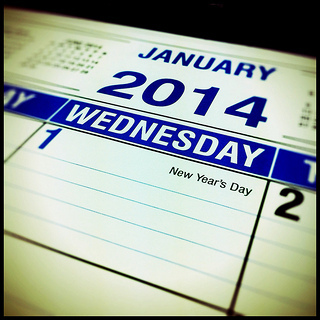 But most often, as the end of the month creeps up, the resolutions of January 1st have been laid aside or thrown away. Worse, is when January 31st rolls around and you take that resolution and use it as a weapon to beat yourself up for not having the “will power” to follow through with the changes you thought you would have accomplished by now. Some people might end up thinking that resolutions are just a waste of time. Why even engage in making changes if you’re only going to end up feeling worse in the end and powerless? So why don’t we stick to our resolutions? Can what we know about the science of behavior change help? First, you’re going to have to indulge my inner nerd as I tell you all about my new favorite game, Candy Crush. Every December, during the holidays, I find myself drawn to a new iPad game. A couple of years back it was sling-shotting birds with Angry Birds, then I was on a Bejeweled kick for a long time, but this past holiday season will be known in my family as the “Candy Crush Christmas”. For those who have not been indoctrinated to “the Crush”, it’s a puzzle game that’s kind of like Bejeweled in which the purpose is to line up 3 items, or in this case candies. Sounds simple right? But it’s wildly successful. Candy Crush was among the top 3 grossing apps on the iTunes app store last year and people estimate that its parent company, King, earns about $600,000-900,000 per day, from people playing the game. Let that sink in for a moment because that is a whole lotta candy. Being a psychologist, I couldn’t just sit and enjoy this game as I kept coming back to it over and over again. I had to sit back and reflect on my own behavior. Why is this game so addictive? Why do I continue to play it even now that the holiday is over? Behavior change is so, so hard. We all know that most resolutions end up in the trash by the end of the month. So how did the developers at King hijack my brain so I keep playing this silly game for more hours than I really care to admit? Baby steps. In Candy Crush, you’re not supposed to win the whole game in just one fell swoop. Where would the fun be in that? I’m on level 70 and from the looks of things I’ve only completed one tenth of the way to the end of the game. I’ve taken 70 small little steps. Too often the goals we set in New Year’s resolutions are to finish the game rather than to take little steps. We expect it all to happen way too fast. Successful, long-lasting behavior change is all about small approximations to your goal. As a culture, we often don’t have patience for that, and we reward the exception. We’re in love with radical change and the big “reveal” after someone completely changes his or her life. So, it’s no wonder that we assume that radical change is possible and get frustrated when it seems to go too slowly. One of the most important parts of achieving your New Year’s resolution is to pick the appropriate next step. Say your goal is to be more social in 2014. Don’t suddenly expect that you are going to have to juggle lunch and dinner dates. Plan one date, then another, and then another. Space them apart, maybe even by a few weeks. Make the next step meaningful but small enough that you can accomplish it. Reward, no reward, no reward, reward. When you finish a level of Candy Crush, it’s like a little party happens. It’s almost like a candy confetti bomb goes off on your device. It’s colorful, it’s pretty and most importantly, it’s fun! So, pat yourself on the back too when you accomplish one of your steps. I know you’ve heard this all before, but what you might not know is that you shouldn’t do it every time. Rewarding yourself sometimes and not others for achieving a step is actually way more powerful. It’s what we psychologists call “intermittent reinforcement”. Ever wonder why people sit at slot machines for so long? It’s all about intermittent reinforcement. If you got a reward every time you pulled that lever, it would quickly become boring. The fun in slots is not knowing if you’re going to win. Is money going to come shooting out this time I pull the lever? Next time? Hmmm….how about now? The Candy Crush developers are masters at this. If I don’t pass a level after a certain number of lives, they LOCK ME OUT OF THE GAME! They fundamentally ensure that I’ll only be rewarded sometimes and make intermittent reinforcement a powerful motivator. What would this look like in your own life? Let’s say your resolution for 2014 was to make sure that your apartment was cleaner and the first step you chose after reading #1 was making your bed in the morning. It’s not like we can engineer your bathroom to be like Candy Crush and a confetti bomb will suddenly drop from your ceiling. Besides, that would totally defeat your cleaning goal! But do something special for yourself on the days you make your bed (take an extra 5 minutes in the shower, use that really good smelling perfume or cologne that you like) but don’t do it every time. Just sometimes. That’s the trick. Mix it up. As psychologists, we’ve learned that we can be powerfully influenced by subtle situational cues in our environment. Our brain likes to default to autopilot and often reverts to what it knows in situations we have seen before. That’s why we like to travel or why we think that if we move across the country we’ll suddenly change who we are. It’s easier to try something new when you’re in a new place because you don’t have the cues that keep reminding you of your old routine. In Candy Crush, they’re constantly fiddling with stuff. Sometimes the background looks different or you’re introduced to a new type of candy or problem (I’m still frustrated at the Chocolate levels). It keeps you engaged and stimulated. Do the same thing in your own routine! If you’re working on changing a behavior, think carefully about your environments and those environmental cues. To use the early example of making your bed, it might be easier to remember to make the bed if you changed the comforter or moved the furniture in your room around. Or let’s say you want to watch less TV, think carefully about where you put the TV and the routines that lead you to pick up the remote. Just tweaking your environment in little ways can help you on the way to the new habits you’re trying to establish. So that’s it! Keep in mind all of this is easier said than done. If I could figure out how to make behavior change just as addictive as Candy Crush, I’d be pulling in the big bucks and winning a Nobel Prize. Don’t think that it will be on my resolution list any time soon though! Happy New Year and have fun hijacking your own resolutions with Candy Crush principles!